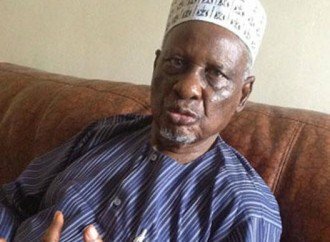 The Chairman of Northern Elders Council, Alhaji Tanko Yakasai, has warned Igbo people not to allow someone who was not born during the civil war to incite violence in the country. He described the ongoing calls for separation as a mistake that will affect the Igbos most if Nigeria splits, adding that Nigeria’s market of over 180 million people will be lost. Yakassai blamed the Federal Government for not tackling the threats by the IPOB on time, pointing that it led to the present crisis. He told Punch, “I believe that the Federal Government was somewhat late in addressing the threats issued by the Igbo. “These threats by both the North and South are unconstitutional and illegal because every Nigerian has the right to live and work in any part of the country he or she chooses. I think the Igbo should not allow a man, who was not even born during the civil war to incite violence in the country. “Both the Hausa and the Igbo are well travelled traders and if this country splits today, that opportunity is gone, a market of 180 million people.